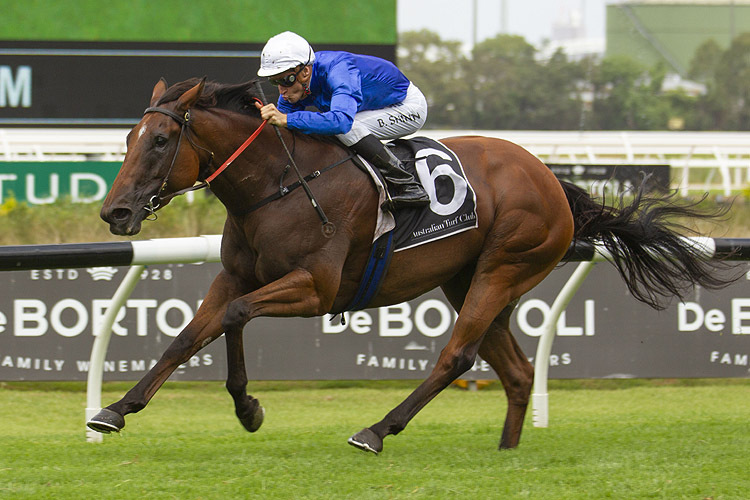 The depth and diversity of the Darley/Godolphin breeding system was on display on Saturday when homebred products by resident sires recorded a trio of classy Group wins in Sydney and Melbourne. Noted sires Lonhro, Sepoy and Helmet sired the three Godolphin Group winners trained by James Cummings while Exceed And Excel added to the successful day for the Darley stallions with his own success. Heading the results was the outstanding win by top class Sepoy mare Alizee in the G2 Expressway Stakes at Rosehill. 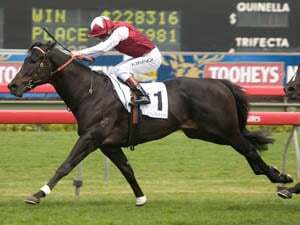 Lonhro filly Amercement recorded an impressive win the G3 Widden Stakes at Rosehill and Helmet’s progressive son Tin Hat extended his winning sequence in the G3 Manfred Stakes at Caulfield. The impressive debut by the Exceed And Excel colt McLaren in the G3 Canonbury Stakes made it a double for the Darley stallions in the juvenile races at Rosehill. ALIZEE reaffirmed her place as one of the country’s best mares when she overpowered some classy rivals in the Expressway Stakes. The dual G1 winner is clearly the best of the progeny of her sire Sepoy, recording her second win in two starts since returning from an enforced three months bleeding ban. Alizee (Sepoy x Essaouira by Exceed And Excel) has now won seven races for earnings of $1,598,200. Alizee is a member of an elite family, her dam Essaouira having produced five winners from five to race including the other G1 winner and Darley sire Astern (Medaglia D’Oro), exciting 2YO Tassort (Brazen Beau), favourite for this year’s Golden Slipper Stakes, and stakes placed Mogador (Lonhro). Alizee is one of Sepoy’s 11 stakes winners, eight of them fillies, who have claimed victories in both Europe and Australia. Sepoy, a four-time G1 winner, is based in Australia at Northwood Park in Victoria. AMERCEMENT added to the dominant season being enjoyed by James Cummings with Godolphin juveniles when she came from off the pace to score an impressive win at her second race start. 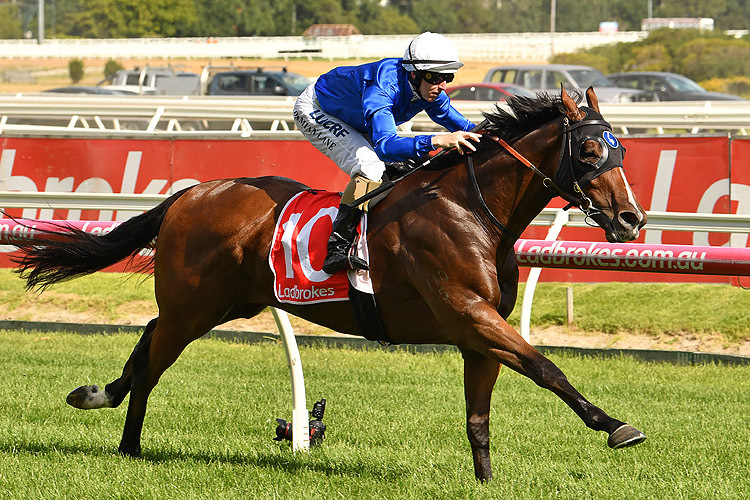 She is the ninth 2YO winner this season for Godolphin from 44 runners that includes the Magic Millions Classic winner Exhilarates and the unbeaten Tassort . Amercement (Lonhro x Forfeiture by Commands) is the 80th stakes winner for her outstanding sire who stands at Kelvinside in NSW. Amercement is from the Sheikh Mohammed-raced Forfeiture, who won four races and was stakes-placed. 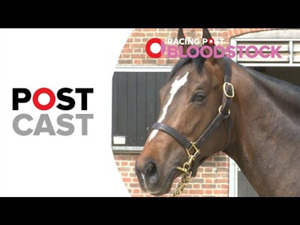 She has had three foals to race with Amercement her second winner. Forfeiture was sold by Godolphin to Kingstar Farm for $50,000 at the 2017 Magic Millions Gold Coast National Broodmare Sale. She produced a filly by Flying Artie last spring. TIN HAT made it three wins on the bounce in the G3 Manfred Stakes with the 3YO gelding giving his sire Helmet his eighth stakes winner. 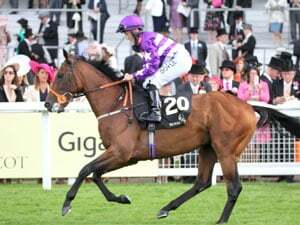 Tin Hat (Helmet x Syncopated by Lonhro) finished with a flourish to defeat Halvorsen (Magnus) and Poised To Strike (Akeed Mofeed). Helmet, a multiple G1 winner by Exceed And Excel, now stands at Gestut Fahrhof in Germany. Godolphin assistant-trainer Kate Grimwade said a gelding operation had made al the difference to Tin Hat since he returned to training. "He's been such a consistent horse but I think this preparation has gone beyond our dreams," Grimwade said. 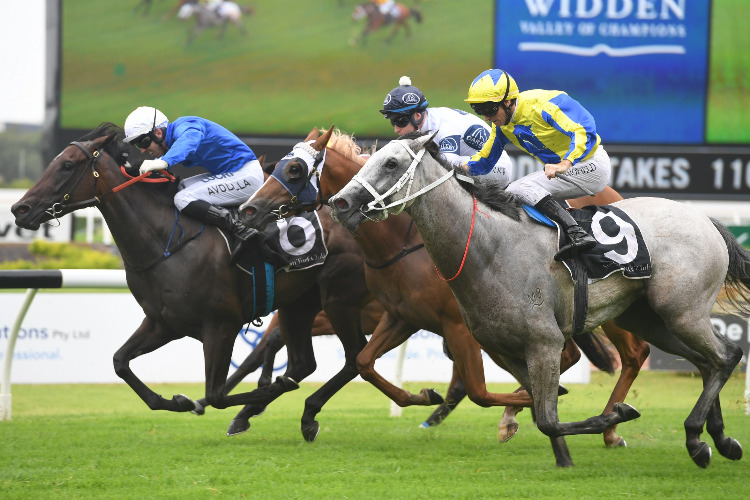 Race Synopsis: Alizee is now unbeaten in two runs since resuming, following her first-up in the Christmas Classic (Listed, 1200m) at Randwick on December 29 with another impressive win here. 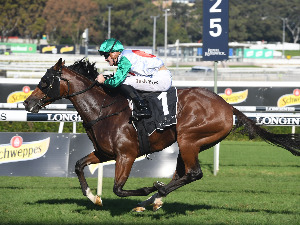 She was ridden quietly and settled nicely for Blake Shinn in last place in the five-horse field, moved up on turning for home, sprinted quickly to hit the front at the 200m and then drew away to score easily by two lengths. 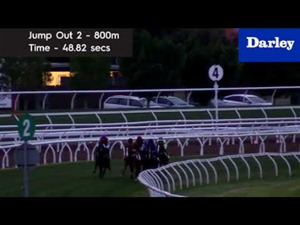 Le Romain had a nice trip in third place on the rails, got a split at the 200m and then battled on well for second in a sound first-up effort. Dothraki went to the front, was pressured coming to the home turn and kept fighting on well to take third. 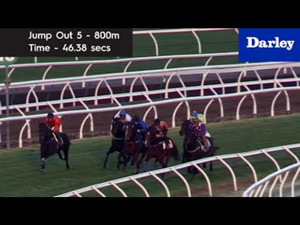 The favourite Trapeze Artist raced outside the leader (Dothraki), briefly looked dangerous on straightening and then held on for (2.9 lengths) fourth at his first start this preparation. Hartnell raced in fourth place until the home turn and then battled on from the point to finish (3.6 lengths) last in the five-horse field. He should be improved by the run and will appreciate further.